City life is not for everyone, but for most in Liberia, especially the youth, living in this city comes with many advantages, like job opportunities, educations, travels and more. 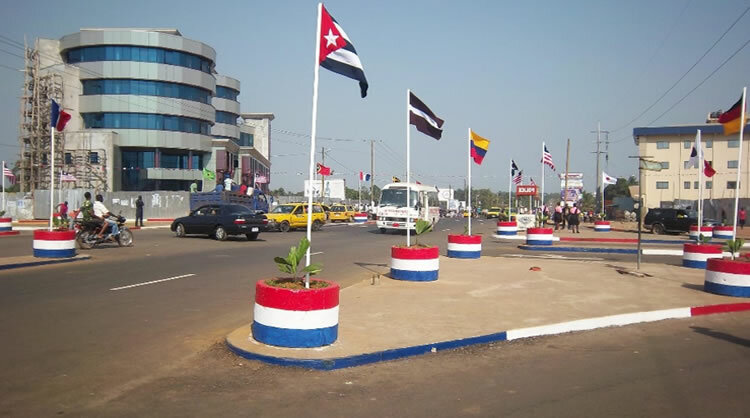 Below is a list of the top ten most popular cities in Liberia. Harper city is located in Maryland county, Liberia. It is known as the city of sunshine and happiness. 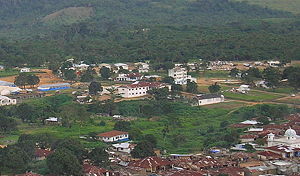 Harper is one of the most layout cities in Liberia. 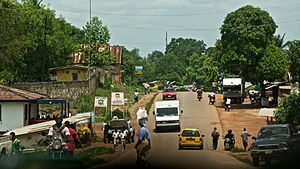 It is also a historical city, home to many free slaves and the home of the 19th president of Liberia, President Tubman. The city is next to the Atlantic Ocean. The beaches are visited by foreigners for scuba diving and surfing. 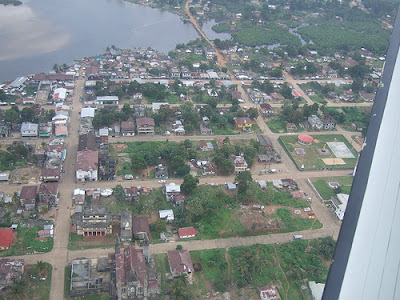 Greenville is the capital of Sinoe County in southeastern Liberia and lies on a lagoon near the Sinoe River and the Atlantic Ocean. It is located about 150 miles southeast of Monrovia. As of the 2008 national census, the population stood at 16,434. A hoard of bronze Kru currency rings discovered in the Sinoe river at Greenville is now in the British Museum. The town was built in about 1838 by colonists of the Mississippi Colonization Society. Part of what was then the Mississippi-in-Africa colony (now Sinoe County), Greenville was named after Judge James Green, one of the first Mississippi Delta planters to send a group of former slaves to Liberia. The town was destroyed in the Liberian Civil War but has since been rebuilt around a port for the local logging industry. Before the civil war, the town's main exports were lumber, rubber, and agricultural products. The Sapo National Park lies near the town. Boats sail from Greenville to Monrovia and Harper. Greenville experiences on average 185 rainy days per year. The mean temperature of the town's coolest month is 24 degrees Celsius and 27 degrees Celsius for its warmest month. Greenville has the third-largest port in Liberia. Zwedru is home to the Late President Doe. The place is known for its tropical forests as well as the anteater creek. The city is also known for its wood products. Before the Liberian civil war it was a busy crossroads town, with a large weekly market. The population was principally from the Lorma and Mandingo tribes, with other ethnic groups from surrounding areas also present. 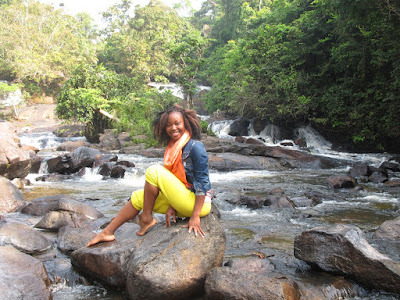 Sanniquellie City is surrounded with tropical rain forests with typical fauna and flora. Very common are rubber trees, mango trees, citrus trees, cocoa trees, lianas, various palm trees, bush grass, etc. Many acres of forest were stumped because of agricultural need, revitalization of rubber tree plants, char coal production, etc. The rain forest you can find there is commonly known as secondary bush. 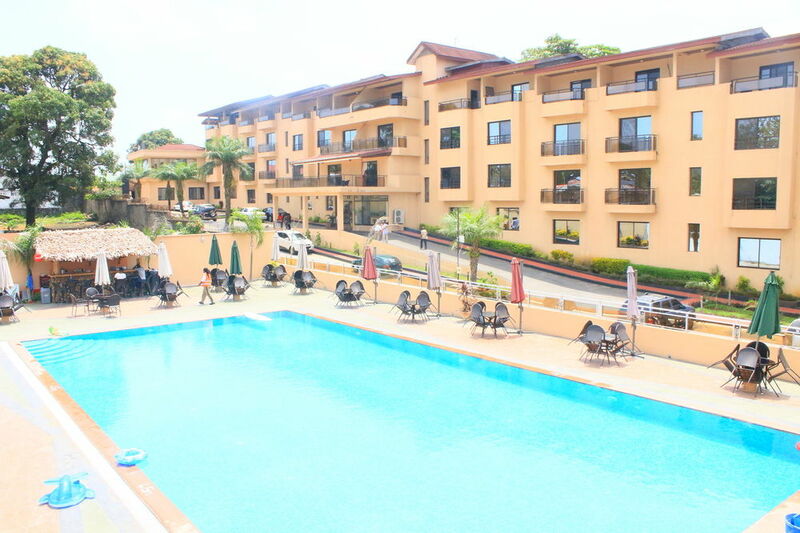 Kakata is the capital city of Margibi County and is located in Kakata District just over the Du River bridge which is its border with Todee District. 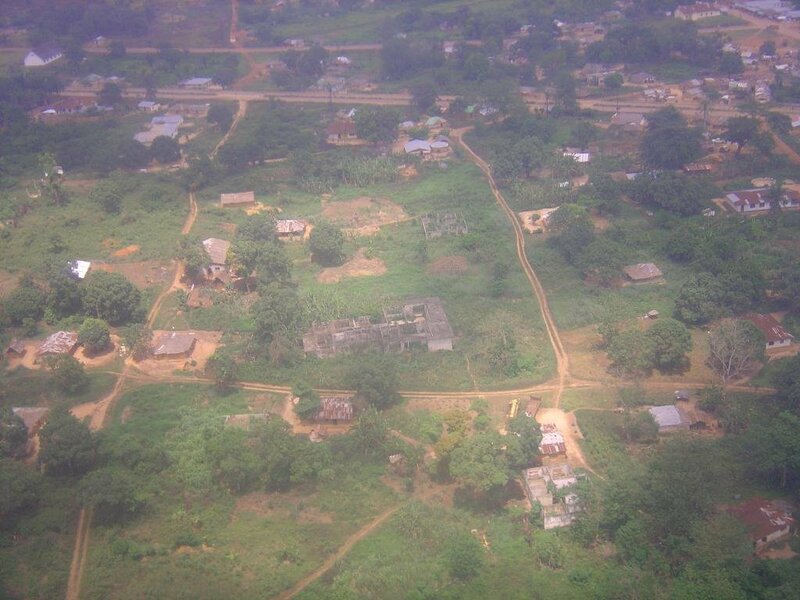 It is a transit town at the heart of the historical natural rubber cultivation belt in Liberia. The city is colloquially known as "Kak City". 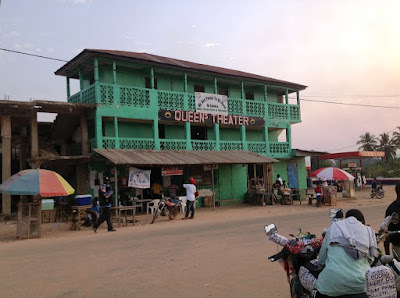 Ganta, also known as Gompa City, is a town approximately 201 miles from Monrovia in Nimba County of northern Liberia. It is located just south of the Guinea border. It is the second-most populous city in Liberia, with an estimated population of 41,106 as of 2008. [ A bustling market town, it contains a prominent white mosque, noted for its decorated minarets of carved stars. Gbarnga is the capital city of Bong County, Liberia, lying north east of Monrovia. During the First Liberian Civil War, it was the base for Charles Taylor's National Patriotic Front of Liberia. Cuttington College, a private, Episcopal-affiliated institution, is located near the town. Its campus was once home to the Africana Museum, which was destroyed during the civil war. As of the 2008 census, Gbarnga has a population of 34,046. Of this, 16,080 were male and 17,966 female; it is the fourth-most populous urban area in Liberia. Gbarnga is the hometown of Tamba Hali, a professional football player of the Kansas City Chiefs of the National Football League in the United States. 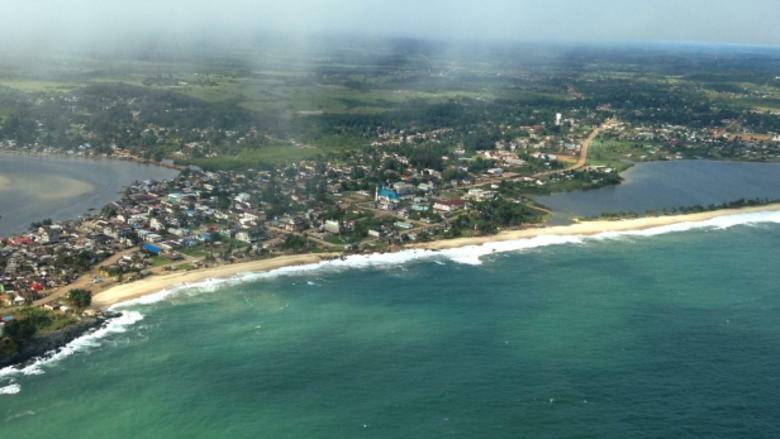 Buchanan is the third largest city in Liberia, lying on Waterhouse Bay, part of the Atlantic Ocean. It is referred to as Gbezohn in the local Bassa language. As of the 2008 census, Buchanan has a population of 34,270. Of this, 16,984 were male and 17,286 female. Named for Thomas Buchanan, cousin of U.S. president James Buchanan and second governor of Liberia, it is also the capital of Grand Bassa County and lies 70 miles (110 km) southeast of Monrovia, near the mouth of the Saint John River. The town was popular with refugees during the Liberian Civil War as it largely escaped the fighting. Fishing is an important industry in the town. 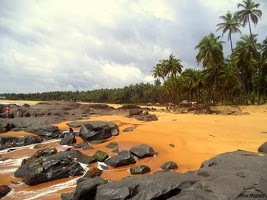 The town also has isolated beaches and lagoons. Founded on April 25, 1822, Monrovia was the second permanent Black American settlement in Africa after Freetown, Sierra Leone. Monrovia's economy is shaped primarily by its harbour and its role as the location of Liberia's government offices. Monrovia is named in honor of U.S. President James Monroe, a prominent supporter of the colonization of Liberia and the American Colonization Society. Along with Washington, D.C., it is one of two national capitals to be named after a U.S. President. Boats link the city's Freeport of Monrovia, the country's busiest port, with Greenville and Harper. The nearest airport is Spriggs Payne Airport, located less than four miles (6.4 km) from the city center. Roberts International Airport, the largest international airport in Liberia, is 60 km (37 miles) away in Harbel.